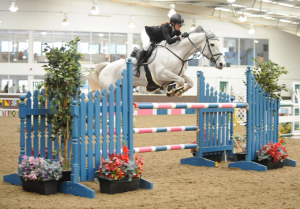 British Showjumping’s Spring Championships took place at Addington Manor recently giving members four days of jumping and eight championship titles to aim for. The venue attracted competitors from the length and breadth of the country all hoping to claim at least one of the Championships on offer. 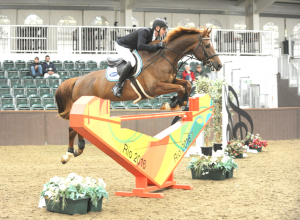 The courses, which were designed by London 2012 course designer Bob Ellis and Nigel Jess, gave some great competition across the show’s entirety with members also thoroughly enjoying the opportunity to compete across some former Olympic Games fences. Jade Meekings from Felsted, Essex took the Silver League Championship on board her own 12-year-old palomino mare, Pauls Lass. Jade put all her training with John and Laura Renwick to good use in the Winter Silver League Final, guiding Pauls Lass into 0.28 second victory. “I learn a lot just watching Laura at home, I think a turn is too tight, but it never is,” said Jade, 20, who has been based in Essex with the Renwicks for three years. The Irish-bred 12-year-old ‘Gracie’ joined Jade five years ago as her first horse. “We started in British Novice and we’ve done more than I ever thought we would. I knew we could gallop to the last two fences, she never has problems taking out strides [down a distance],” said Jade. 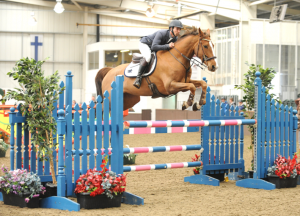 Tim Davies from Bury St. Edmunds, Suffolk became the Winter 7-Year-old Champion with Barrett Watson’s 7-year-old chestnut gelding, Lionel van de Markieslanden. Tim claimed the 7-year-old Championship from the front of the five-horse jump-off. The Falco-sired gelding was talent-spotted in Lummen, Belgium, when Tim went to try another horse. 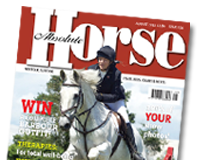 The Winter 6-year-old Championship title was secured by Harry Bateman from Hockley, Essex on board his own 6-year-old chestnut mare, Zuniek van de Tojopehoeve. Only three of twenty-one starters came forward to contend the winter 6-year-old jump-off, and Harry Bateman was riding two of them. He claimed the win on first-drawn Zuniek Van De Tojopehoeve with the only double clear and finished third with Jennifer Thompson’s Jaloubet K Z, sandwiching Christina Foley into second on Hendrikje M.
How to create rewarding training programmes for your horse is the topic of Redwings Horse Sanctuary’s latest evening of free expert talks and demonstrations. All are welcome to book on to the To Treat or not to Treat seminar, which will take place at the charity’s Aylsham Visitor Centre, north of Norwich, on Wednesday 25th April from 6.30pm. Redwings’ Equine Behaviour Manager Sarah Hallsworth will be sharing her top tips on how to use food effectively as part of a horse’s handling training. Using practical exercises and compelling case studies, Sarah aims to give owners the confidence to tackle specific behavioural issues and improve their day-to-day interactions with their horse. 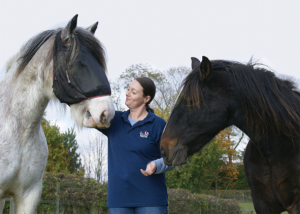 Rehoming Manager Rachel Angell will also be revealing how Redwings devises unique training programmes for its rescued horses getting ready to find loving new homes as part of the charity’s Guardianship Scheme. There are currently 500 Redwings horses living in Guardian homes and attendees will be able to find out how they could apply to rehome a rescued horse. Andie Vilela, Education and Campaigns Manager, said: “After years of training rescued horses and readying them for lives in Guardian homes, our experts are hugely experienced in working with equines from many different backgrounds with a multitude of behavioural issues. To book your free place on the evening seminar, call 01508 481032 or email education@redwings.co.uk. Visitors at Redwings Horse Sanctuary are being invited to give the gift of carrots and support rescued horses and donkeys this International Carrot Day. From Friday 30th March to Monday 2nd April, Carrot Drop Stops will be springing up at each of the charity’s five visitor centres in Norfolk, Essex, Warwickshire and Angus, where supporters are welcome to leave a bag of carrots or make a £1 or £5 donation towards funding nutritious meals for the 1,500 rescued residents being cared for by Redwings nationwide. International Carrot Day is celebrated every year on 4th April to raise awareness of the versatility and health benefits of the vegetable. 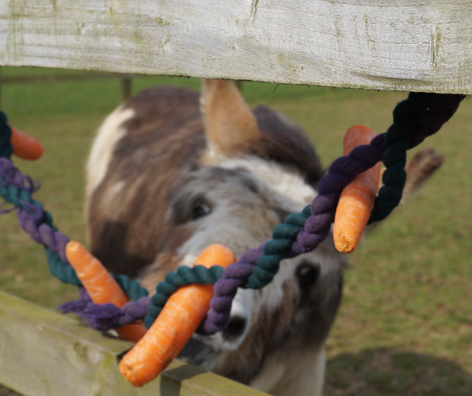 As well as providing Carrot Drop Stops, Redwings’ visitor centres will also be hosting a special series of activities on Saturday 31st March and Sunday 1st April showcasing just some of the ways carrots can be used to provide enrichment for horses and donkeys. Using recycled items such as cardboard boxes and ropes, Redwings’ teams will teach visitors how to make simple toys and games which they could even try at home for their own four-legged friend. They’ll then be able to watch the horses and donkeys as they sniff out the hidden carrots in the boxes or tease them from ropes using their teeth and noses! Visitors will also be able to test their carrot knowledge with a special quiz trail! Alison Lanchester, Redwings’ Head of Fundraising, said: “Carrots make wonderfully nutritious snacks for our horses and donkeys, but this humble vegetable – coupled with some recycled items from around the house – can soon be transformed into fantastic enrichment games for our rescued residents. “We hope as many people as possible will come along and have a go, or simply drop off some carrots or donate to help feed our horses and donkeys. Just £1 could pay for a tasty nibble for a rescued resident, while £5 could fund two nutritious feeds! Don’t worry if you’re unable to visit, you can still join in the celebrations by donating online. Redwings’ visitor centres are open every Friday, Saturday, Sunday and Monday, 10am to 4pm (closed on Tuesdays, Wednesdays and Thursdays). Entry is free and dogs on leads are welcome.